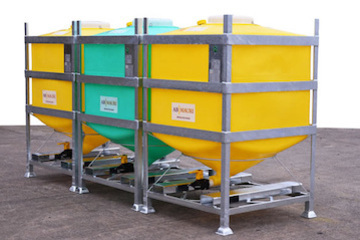 Francis Ward supplies IBCs and drums for the transportation of a wide range of speciality chemicals including liquid colourants, Masterbatches, pigments and lubricants. Our IBCs are of heavy duty construction available in a range of capacities, easy to clean and can be customized to promote your company or product. The DG and MT ranges are your first choice but if your application is more demanding the APL and PCM should be considered.